By buying this product you can collect up to 139 loyalty points. Your cart will total 139 loyalty points that can be converted into a voucher of ₹ 34.75. 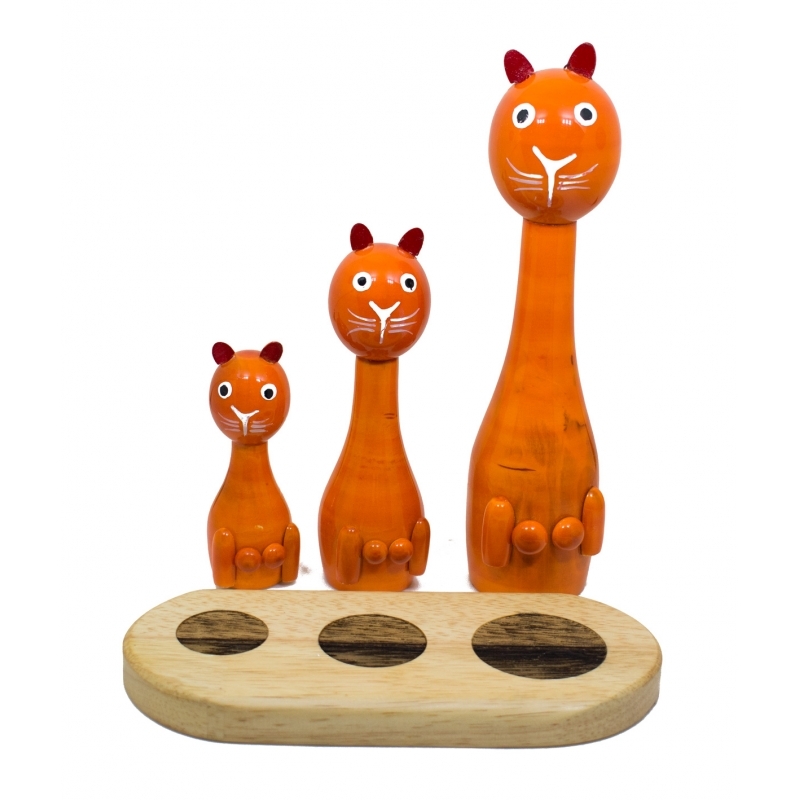 Pretty wooden cat family set with base. Ideal for home decor and playing kids. Made of high quality rubber wood base and ivory wood cats. 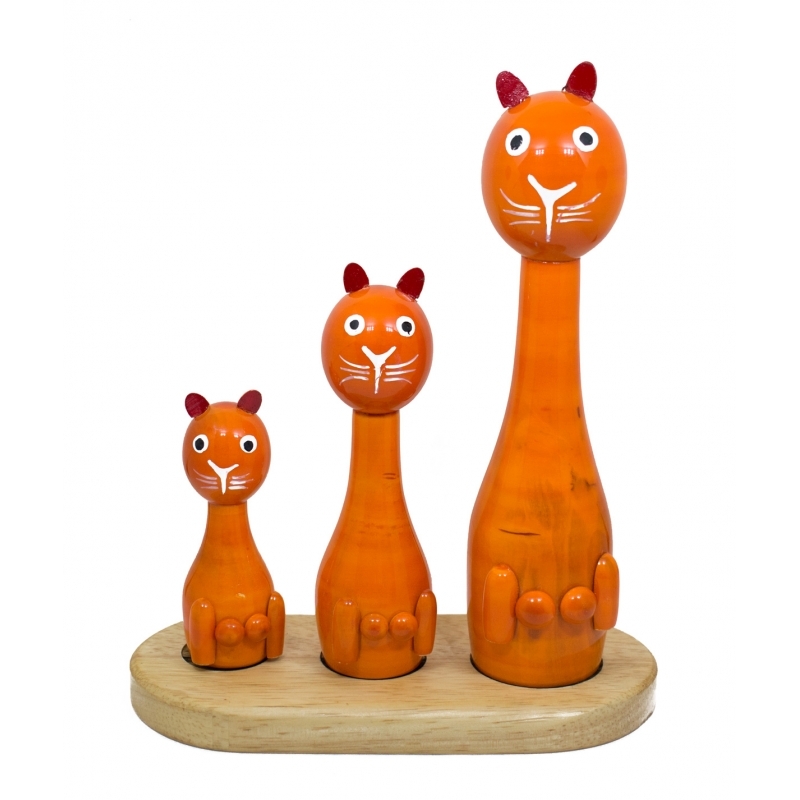 The wooden cat family set is made of ivory wood with smooth lacquer finishing. The base is made with rubber wood and semi glossy varnish. 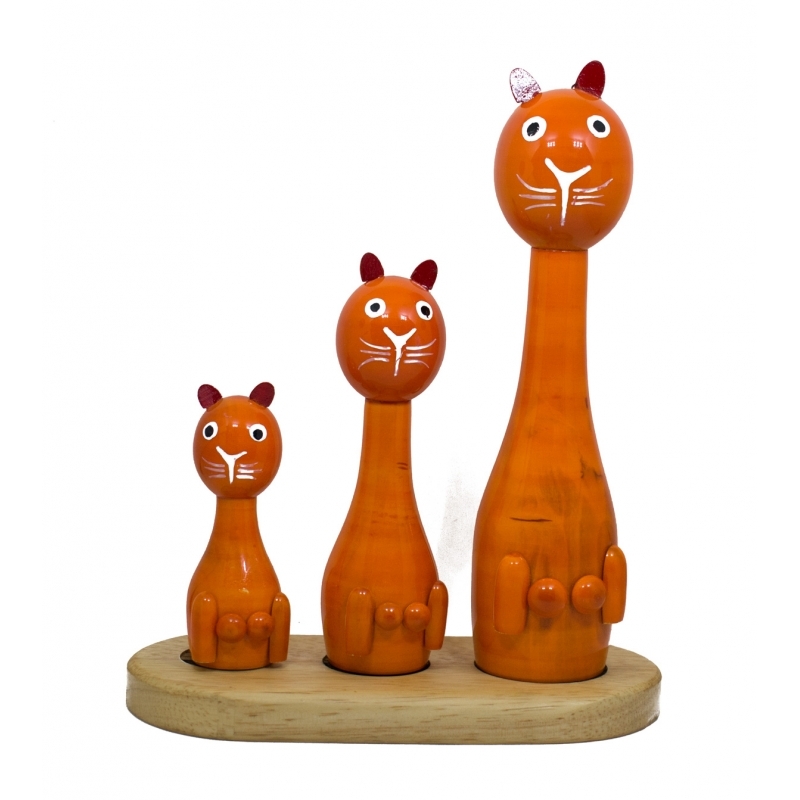 The product is ideal for home decorative purpose, enhancing the beauty of the home and also as the fancied friend group for your little ones.